Naum Grubert (1951) was born in Riga. His principal studies were with the famous professor Gutman in Moscow. He was a prize-winner in the Tchaikovsky Competition in 1978, after having won the 2nd prize at the International Piano Competition in Montreal the year before. He toured extensively the Soviet Union and other European countries before he emigrated from Russia and became a Dutch resident. He took part at the Lichfield Festival (Great Britain), the Cadaqués Festival (Spain) the Lockenhaus Festival (Austria) and the Gergiev Festival (Holland), among others. Naum Grubert has performed with conductors such as Paavo Berglund, Sergiu Commissiona, Jean Fournet, Horst Stein, Christopher Seaman, Vernon Handly, Matthias Bamert, Ernest Bour, Ed Spanjaard, Vassili Sinaiski, Thomas Sanderling, Valery Gergiev, Claus Peter Flor, Aldo Ceccato, Evgeny Svetlanov, Stanislav Skrovachevsky. His CD-recordings contain works of Schubert, Liszt , Mussorgsky, Rachmaninoff, Schumann, Beethoven and Chopin. 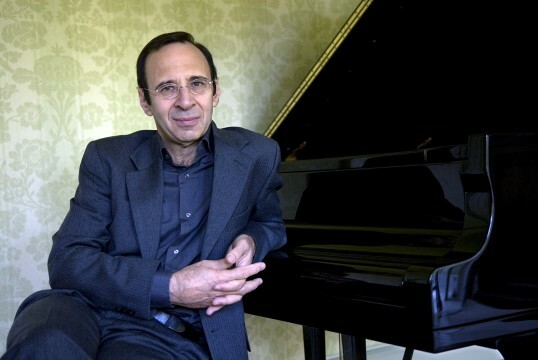 Naum Grubert holds professorships piano in the Amsterdam Conservatory and The Royal Conservatory in The Hague. Among his students are many prizewinners of national and international competitions.